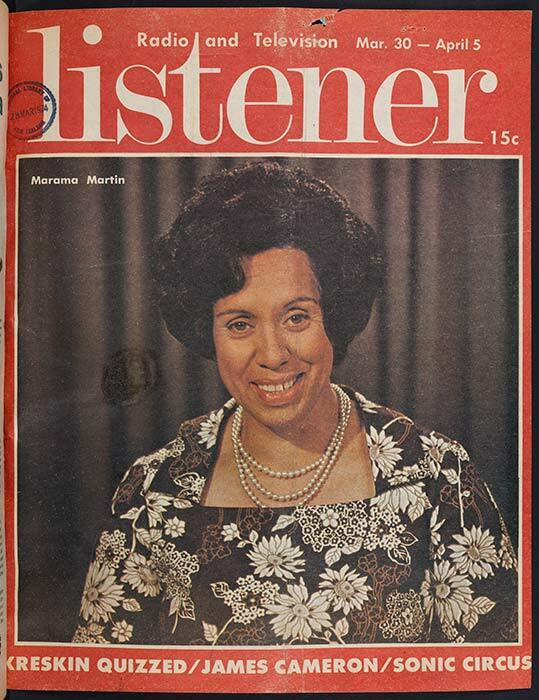 Marama Martin (originally Marama Koea), seen her on a 1974 Listener cover, began her working life as a primary-school teacher. After taking on continuity announcing for a New Plymouth radio station, she moved to Wellington in the 1960s and worked as an announcer on radio and television. Both were run by the New Zealand Broadcasting Corporation and Martin was one of many staff who moved between the two media. By the time colour television was introduced in 1973, Martin was a fixture. She made most of her own clothes, and wore a mauve dress the day she first appeared in colour. Hi Just thought I'd let you know my beautiful Aunty Marama passed away today. She was 87.